A statement in consumerism or a love of high-end fashion? 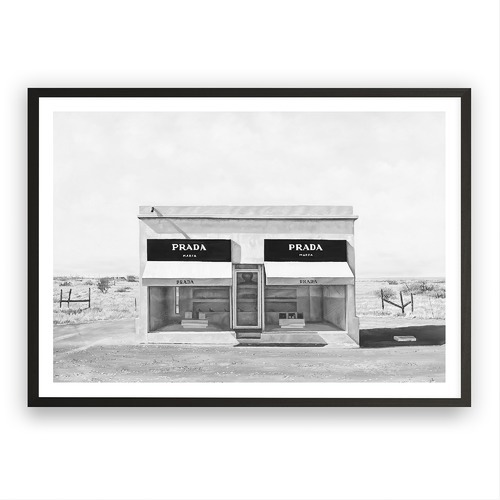 Whichever way you look at it, the faux Prada store in Texas is as striking as it is modern. The print is a stylish addition to your wall. Frames are made from sustainably sourced genuine timber that have a 20mm wide profile, and are 40mm in depth for the Black and White wood, or 36mm depth for the Raw Oak wood frames. The frames are not just your standard store-bought removable-backing frames; they are gallery quality & fitted to your 'The Print Emporium' artwork; they will last for many years to come. Care instructions: Avoid hanging in direct sunlight. Please note that this product is made-to-order. Please consider the special care and time that goes into each product before confirming your purchase. The Black & White Marfa Printed Wall Art is a Contemporary style product. Contemporary style bridges the gap between traditional and modern. Pieces feature simple and clean lines with smooth surfaces without any carving or adornment. You can shop for more Contemporary Wall Art in the Décor section of our site. 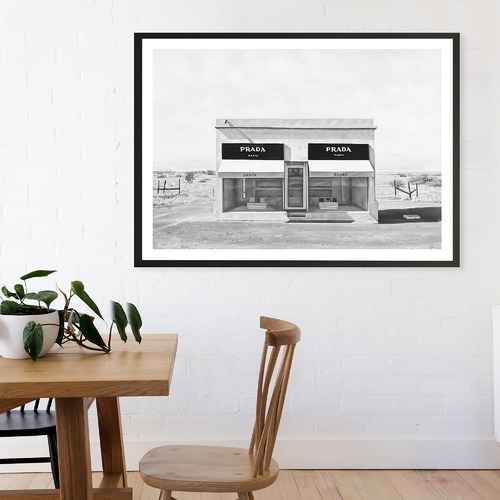 When you buy a Black & White Marfa Printed Wall Art online from Temple & Webster in Australia, we make it as easy as possible for you to find out when your product will be delivered to your home in Melbourne, Sydney or any major city. You can check on a delivery estimate for the The Print Emporium Part #: TPE036_ here. If you have any questions about your purchase or any other Wall Art product for sale our customer service representatives are available to help.Whether you just want to buy a Black & White Marfa Printed Wall Art or shop for your entire home, Temple & Webster has a zillion things home.